WAnt to be a progressive lawyer? Become a prosecutor. Cameron clarke and Aryn Frazier discuss whether progressive lawyers who want to push the criminal justice system toward abolition should become criminal prosecutors. Of course, what I have said above is not a settled debate. But this article is not meant to argue the merits of prison abolition. (Although this is. And so is this. And this.) The question posed here was once niche, but with the election and policies of DA Larry Krasner and formation the Real Justice PAC, it has become more mainstream. We are asking whether or not it is both a moral action and a sound strategy for people who believe in prison abolition – which at bottom looks to minimize the capacity of the state to do harm to people under its control – to pursue positions as criminal prosecutors. The answer is absolutely. Critics of the so-called “progressive prosecutor” argue that a prosecutor’s job, inherently, is to put people who commit crimes in prison. This is true now, but it doesn’t have to be in the future. In fact, the entire prison abolition movement is predicated on the belief that society and our understandings of it can be dismantled and redesigned by people within that society. Likewise, prosecutors working within an abolitionist framework should, and often already have, radically reimagined what a “prosecutor’s” job should be, and how they should interact with the community they purport to defend. From that position, they not only have the power to enact that vision within the confines of their political situation (for example, Larry Krasner cannot force judges to accept his sentencing recommendations), but to also train a new generation of lawyers who will continue that abolitionist work inside and out of prosecutors’ offices. Further, they put pressure - either implicit or explicit - on law and order prosecutors to leave the profession. Of course, claiming to be a progressive or abolitionist prosecutor is one thing – actually being it is another. Elected prosecutors, like all public officials, ought be judged by their actions and their results, not just their rhetoric. Still, for as long as prosecutors exist – and, at least today they do, and almost certainly tomorrow, they will – it is without question a better option for people who want to end cash bail, divert children, the substance dependent, and the mentally ill, and many more from the prison system, and move money from the criminal legal system to education, housing, and other social services to be making the decisions rather than those who wish for and pursue hardline law and order policies. There is no question that it is better to make people’s lives better today – even if just remotely – than otherwise, so long as the abolitionist endgame is not obfuscated. What do you call the well-intentioned members of a fundamentally unjust system? At best, maybe you call them conflicted. At worst - hypocritical, and not critical enough of the institutions they represent. Not only is the concept of the “progressive prosecutor” a fictionalization, but its promotion as a solution to the injustices of law enforcement is a dangerous and ahistorical reimagining of the functions and relationships of prosecutors in the modern criminal justice system. We have seen this phenomenon before - in police chiefs’ exhortations to protestors to join the force, so that they might effect the change they wanted to see in their communities. This sentiment - that improving policing as an employee is the most effective way to promote positive interactions between citizens and law enforcement officers, has been echoed time and again by police chiefs looking to recruit new membership. What these statements fail to acknowledge is that the issue with racially and economically biased policing in this country is not with individuals - it is in the system in which they operate. Law enforcement officers may be driven into the career by good intentions, but the system that they uphold makes it nearly impossible for them to actualize those intentions. They might want to mentor the youth in their communities, but when administrative directives mandate that they patrol in predominantly black neighborhoods, when regulations demand they meet a quota of stops and arrests, and when they are paired with partners and superiors who willfully and consistently violate the human rights of the communities they serve, it can be difficult - if not impossible - to do the right thing. The same principles apply to prosecutors. For all the adulation progressive media outlets are heaping on Larry Krasner, the fact remains that the vast majority of criminal prosecutors in the United States are not in the position to execute their jobs in a manner that bears even a passing resemblance to progressivism or abolitionism. The very fact of their employment contradicts the abolition that they would presume to be working towards. The same is true for rank and file prosecutors. Stripped of most autonomy and flexibility in handling cases, and pressured to achieve astronomical conviction rates, prosecutors are incentivized to overcharge defendants, intimidating them out of open trials and bullying them into accepting plea deals for crimes they may have not even committed. Individual prosecutors, whatever their perceptions or personal beliefs, are en-masse contributors to the subversion of due process and the suppression of the constitutional and legal rights of disenfranchised communities. This is a tide that no one individual, particularly an employee of the state, can easily turn. Finally, the relationship between prosecutors and police officers introduces an implicit conflict of interest that prevents most prosecutors from fairly or appropriately investigating or pursuing allegations of misconduct against police officers. Prosecutors heavily rely on the evidence and testimony provided by police investigators to secure convictions and pleas. This close, collegial relationship involves a bond of trust, both individual and institutional by necessity. Though this trust helps to secure convictions, it hampers the ability of prosecutors to intervene when their cooperative police department is implicated in the abuse of the citizens it is sworn to protect. I don’t mean to suggest that it is impossible for progressive prosecutors to exist. Much like good, decent cops, there are many empathetic, compassionate prosecutors working in courthouses around the country. But as long as the role of the prosecutor is fundamentally and definitionally opposed to the work of justice reform, it is hard for me to believe that there is not another position that would be a better use of a progressive lawyer’s time. There is a difference between a progressive, abolition-minded prosecutor (PAM prosecutors) and a left-leaning, well-intentioned one. Among other things, both likely seek to decrease the prison population, lower bail costs, and divert youth and the mentally ill away from the criminal legal system. But at bottom, PAM prosecutors want to minimize the capacity of the state to do harm to people in general, and people under its control specifically. This means that the ways they would go about reconstruction would be different than a simply left-leaning, well-intentioned prosecutor. For example, often, left-leaning, well-intentioned prosecutors decrease the number of people in prison by putting more people under the near-constant technological surveillance of the state. Such an action, though it does allow someone who may have otherwise been incarcerated to be with their family and socialize to an extent in their community, and simply gives the state a different kind of ever-present power. A progressive prosecutor might instead look for ways to not bring certain kinds of crimes to court at all, or to divert people from the court system to restorative justice programs without demanding a forfeiture of privacy in exchange for an existence outside the walls of a prison system. Of course, one PAM prosecutor in an office under the direction of a hardline, law and order old guard would not have the opportunity to do much good. In such situations, the recommendation is not that PAM lawyers join the rank and file, only to experience burnout and cognitive dissonance. Instead, they should regularly run for office to unseat those old-guard DAs. When a PAM prosecutor takes over an office, they have the ability to clean house of the old guard rank-and-file prosecutors, and hire on other PAM prosecutors who would then be able to carry out the vision throughout the office. Elected PAM prosecutors are the crucial difference in separating a clarion call by unprogressive police chiefs for more underrepresented minorities to join a force whose culture has no intention of bending from the work that elected PAM prosecutors do to change the oft-punitive culture of their offices. Outside of their impact within a DA’s office, PAM prosecutors who run for public office can also help do the necessary publicity work of the abolition movement. Assuming their campaigns rest on grassroots mobilization, their participation in town halls and debates, their speeches and their campaign literature would spread the vision and message, and provide clarifying answers to skeptics’ questions on how abolition might actually look in our society. If done properly, all of this might not only help change the direction of a DA’s office, but it might also do the education work required before more people will rally behind the idea of abolition. Even when the distinction is made clear between a PAM prosecutor and a well-intentioned one, some still argue that when PAM lawyers become prosecutors, they are “at best…conflicted,” and “at worst…[are] hypocritical, and not critical enough of the institutions they represent.” This characterization of PAM prosecutors is not only absolutist, but it is also wrongheaded. One can imagine it would be nice to live a life free of moral and ethical conflict – but such a life would likely be one in which no hard decisions were ever made, and thus no tangible change ever affected. After all, it is difficult to argue that a PAM lawyer’s primary concern be maintaining a professional life without ideological conflict when considering the realities of prison life -- realities that are not a mere abstraction for millions of the people every day whose futures and whose freedom depend on the decisions made by prosecutors. PAM prosecutors working under the direction of an elected PAM DA have the power and tools to begin dismantling the worst parts of the criminal-legal system from the inside out, act as allies for those working to dismantle that same system from the outside, and make life better for people in the meantime. In fact, for us to act as if it is pointless to make systems and the lives of others tangibly better if we cannot make them perfect fundamentally misunderstands and belittles the gains made throughout our history. Slavery abolitionists took intermediate steps to help secure freedom for those they could while also working tirelessly to have the institution outlawed. Civil Rights Movement lawyers and activists fundamentally transformed American society by radically reinterpreting the meaning of laws, by using the oppressors tools against him -- they worked inside and out of courtrooms, legislative assemblies, and government agencies to do it. Why should PAM lawyers not use the oppressive state’s resources against it in pursuit of a reordered society? Let’s not ignore our history by pretending that even if injustice is not completely eradicated, immediately, significant improvements with tangible impact on people’s lives can’t be made. Let’s not ignore our humanity and act like significant improvements for individual people and families and communities don’t matter if we cannot claim moral and ideological superiority for not working within corrupt institutions. If one accepts the premise that every institution in our society is corrupt, that the whole thing needs to be uprooted and reimagined because all of our institutions recreate systems of hierarchy and oppression in one way or another, what is left? In what institutions can people who want to pursue those ends work to at all times maintain their ideological purity? Who do they work with? Whose support do they attempt to garner? I am not saying PAM prosecutors have been, are, or will be perfect. They won’t be. This is not to say that they will not experience burnout, or that the power and popularity of public office could never corrupt them. None of that is true. But much of the same could be said of organizers behind the scenes or in the spotlight, of public defenders with unbearably heavy caseloads and indefensibly low budget resources, or society as a whole, with its shifting morals and ever-shortening attention span. This is not even to say there aren’t other, and possibly better, routes through which a PAM lawyer might pursue the ends of abolition. There absolutely are. Still, though there are many vehicles like public defense, nonprofit work, and organizing through which this good can be done in the criminal-legal space, there is indeed also room for good – and if not absolute good, then substantially better than what we have now – in prosecutors’ offices. So long as PAM prosecutors do not lose sight of the larger goal of abolition, why wouldn’t we want them to diminish the harm done unto others until a more complete societal transformation can be achieved through total abolition? To me, it sounds like you accept that without a change in the direction of city and state attorneys’ offices, it would be difficult or impossible for prosecutors to enact progressive visions. You mention that one PAM prosecutor, under the supervision of an illiberal district attorney, would not have the opportunity to do much good. I agree, and I wonder how even an army of progressive lawyers would fare in a system that does not provide the mechanism for them to create change. It sounds like what we are discussing is not the goal of progressive prosecution, but its efficacy. You cite slavery abolitionists and civil rights activists to evince lawyers working from within and without unjust systems to secure freedoms and rights for the disenfranchised populations they served, but I can scarcely think of an occasion when activists worked as subordinates to their oppressors as part of their liberation strategy. I am sure that a progressive prosecutor would on some level be marginally better and more empathetic than a conservative one, and might offer more lenient sentences and seek out fewer convictions where they could. But when I imagine a law school graduate, looking for the best way to make the most significant positive impact on the society they see, I find it hard to justify pointing them to the District Attorney’s office. Why not legal aid, or public defense? Why not housing or education law? 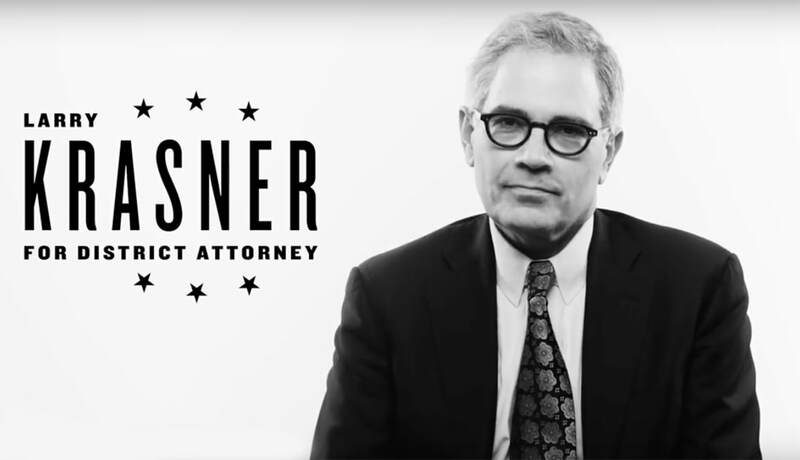 Even Larry Krasner, the so-called model for progressive prosecution, made his mark, not as a rank-and-file state’s attorney, but as a civil rights lawyer, suing police officers for abuse of station. Whether he will find similar success working on behalf of the state remains an open question, but in cities and towns around the country, one thing remains clear: As long as tough-on-crime is the dominant ethos through which we understand justice in our society, the space for progressivism on the front lines of prosecution will remain marginal.